How we can help protect your investment . 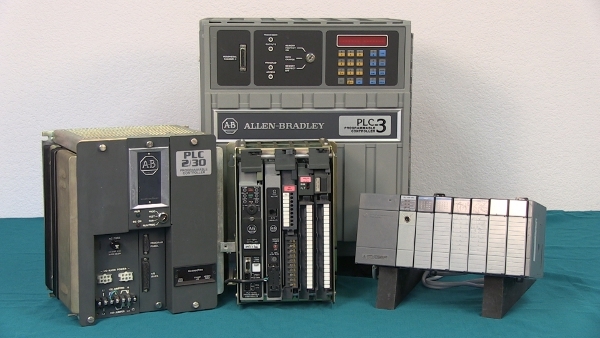 . .
Rockwell Automation (Allen-Bradley) has obsoleted their software products that support these older PLC models: PLC (1774), PLC-2, PLC-3, and PLC-5. They want to "motivate" you to purchase new hardware, most times for systems that are still working perfectly well. Since 1984, SoftPLC Corporation has provided feature-rich programming and troubleshooting software for Allen-Bradley PLC (1774), PLC-2, PLC-3 and PLC-5 processors, called TOPDOC®. If you still have machines and systems that rely on these PLC's, we have great news for you. . .
We still provide PLC-2, PLC-3 and PLC-5 software! What's more, we offer excellent migration paths from older A-B PLC's to a state-of-the-art SoftPLC CPU, while you continue to use your existing A-B I/O and networks. If you're looking for an easy, inexpensive migration path, without needing to re-engineer your systems or re-train your personnel, please contact us to discuss the details of your applications. You do have options, and they're good ones! Contact us and let us help you protect your automation investment. We also provide utilities for import and conversion of A-B software documentation files from not only obsolete A-B software, but other vendors such as ICOM, Up/Doc, and more. TOPDOC PLC-2 includes includes offline program development, upload/download, program documentation and reports, and online programming/ monitoring/ troubleshooting. The package includes our custom "Attached Mode" cable (Cat No TD2-CAM) that connects from a PC's serial or USB port to the PLC-2 front port. No special interface card is needed in your PC! Online programming, upload/download and forcing are supported when connected to the PLC-2 via this cable. If you connect over DH/DH+, only upload/download is supported. Although TOPDOC PLC-2 is a DOS application, we have packaged it so it can be used on most modern WindowsXP, Win7 or Win8 PC's. You don't need to worry about finding an old O/S, setting up partitions, etc. All you need is an available USB port for TOPDOC and one for the Attached Mode Cable when doing online operations. And, when you're ready to move off the obsolete PLC-2 platform, we have great upgrade paths from PLC-2 to SoftPLC. TOPDOC PLC-3 includes offline program development, upload/download, program documentation and reports, and online programming/monitoring/troubleshooting. We also provide utilities for import and conversion of A-B software documentation files from not only obsolete A-B software, but other vendors such as ICOM, Taylor and others. TOPDOC PLC-3 requires 32-bit WindowsXP or later*. Communication to the PLC-3 can be direct to the programming port through a null modem serial cable or over DH/DH+ with a 1784-PKTx/KTx interface card. The 1784-PCMK is not supported. NOTE: The original 6200 offline PLC-3 software was a private labeled version of TOPDOC. When you're ready to move off this obsolete platform, we have great upgrade paths from PLC-3 to SoftPLC. * 64-bit Windows installations are supported, but require purchase of 1 hour of application engineering support. TOPDOC PLC-5 includes offline program development, upload/download, program documentation and reports, and online programming, monitoring, and troubleshooting. We also provide utilities for import and conversion of A-B software documentation files from 6200 or RSLogix5, and other vendors such as ICOM, Up/Doc, and more. Upload/download preserves all memory areas, but the editing and monitoring functions only support ladder logic (not SFC or structured text). TOPDOC PLC-5 requires 32-bit WindowsXP or later*. Communication to the PLC-5 can be directly via the serial port through a null modem serial cable or over DH/DH+ with a 1784-PKTx/KTx interface card. The 1784-PCMK is not supported. 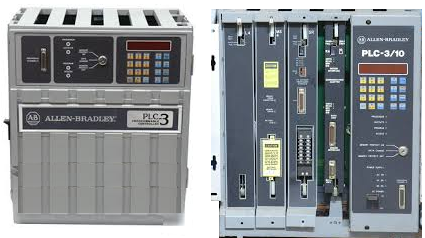 The PLC-5 was discontinued in 2015. When you're ready to move off this obsolete platform, we have great upgrade paths from PLC-5 to SoftPLC. We never created a version of TOPDOC for the SLC-500 or MicroLogix. BUT, we have great upgrade paths from SLC-500/MicroLogix to SoftPLC that include a program and documentation conversion tool from RSLogix500 to SoftPLC format. Features/specifications of the TOPDOC PLC-2 Programming Station. Easy/inexpensive A-B PLC Migration options using Smart SoftPLC. Hints on printing ladder logic and other TOPDOC reports for TDZ, TD2, TD5, or TD3. TOPDOC Evaluation Versions - Allows use of all offline features for 16 rungs of logic, but no online functions.